Following the Danforth Garage Master Plan engagement process, CreateTO, the City and its consultant team have compiled the work undertaken during the process to prepare reports to the CreateTO Board, Executive Committee and City Council. Below is the reporting schedule which sets out the key dates for reporting. On April 15, 2019 a presentation providing an overview of the process and suggested next steps for consideration will be made to the CreateTO Board. The presentation has been posted to the City’s TIMMIS website and can be found here. All future reports, in addition to the Danforth Garage Master Plan Study, prepared by DTAH and the broader consultant team, will be made available through the City’s TIMMIS website five business days prior to the scheduled meeting; links will also be provided on this website. 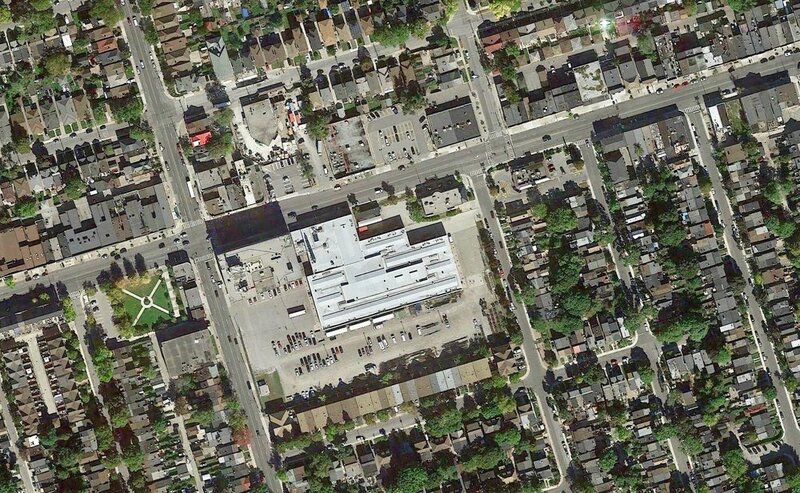 The Danforth Garage is a key site situated in Ward 32, which brings together civic and community interests from three adjoining wards - 29, 30, and 31. The site accommodates the Danforth - Coxwell Public Library at 1625 Danforth Avenue and the Toronto Transit Commission (TTC) Danforth Garage at 1627 Danforth Avenue. The site is 2.0 ha (5.05 acres) and is bounded by Danforth Avenue to the north, Woodrow Avenue to the south, Coxwell Avenue to the west and Hillingdon Avenue to the east. The purpose of the study is to create a master plan for the site that accommodates the needs of the three anchor tenants - TTC, the Toronto Police Service (TPS), and the Toronto Public Library (TPL) - as well as the local community and becomes a catalyst for regeneration and place-making in this area of the city. The master plan will be informed by comprehensive community input and will be consistent with the policy framework created through the Danforth Avenue Planning Study. Community consultation is a crucial component of this study. The study will include both a Local Advisory Committee (LAC) and Community Meetings. All Community Meeting details, including dates and venues, will be posted to this website as they become available. The study is being led by CreateTO, City Planning, and the City’s Real Estate Services division (the Project Team) in collaboration with a Technical Working Group, including, the Project Team, the site’s three anchor tenants as well as other key staff from the City. The City has hired a consulting team of experts to work with the Project Team, anchor tenants, and community to develop the master plan. The consultant team includes: DTAH (Architecture, Planning and Urban Design); ERA Architects (Architecture and Heritage); Swerhun Facilitation (Consultation and Engagement); and civil engineering, transportation and costing consultants who will be involved in Phases 2 and 3 of the master plan study. The Danforth Garage Master Planning Study findings and recommendations will be captured in a Staff Report and presented to Council in early spring of 2019. To get in touch with the Project Team click here.